Prof. Dr. med. Prof. h.c. Dr. h.c. Christos C. Zouboulis studied Medicine and Political Sciences at the University of Athens, Greece. He was specialized in Dermatology and Venereology, Allergology, Andrology and Proctology at the Freie Universitaet Berlin, where he also received his Doctorate and Habilitation grades and was named Professor of Dermatology and Venereology in 2000. He is Director of the Departments of Dermatology, Venereology, Allergology and Immunology, Dessau Medical Center, Dessau, Germany since 2005. Prof. Zouboulis has performed fundamental research on the sebaceous gland and acne, Dermato-Endocrinology and molecular ageing, skin stem cells, hidradenitis suppurativa, Adamantiades-Behçet’ disease and cryosurgery. He has received several awards including the Oskar Gans Prize, the EADV Research Fellowship, the Felix Wankel Animal Protection Research Prize, the Paul Gerson Unna Prize and the Springer Prize for Dermatology, has published over 700 articles/books (IF 1183, h-index 54) and he has given over 500 invited lectures. He is associate/assistant editor of several international scientific journals. 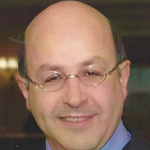 Prof. Zouboulis is among others president of the EHSF and the ESAAM, chair of the EADV Honours and Awards Committee and the task force for acne and rosacea, and of the EDF Guideline Committees for Hidradenitis suppurativa. Prof. Zouboulis was elected Prof. h.c. of the University of Frache-Comté, France, Dr. h.c. of the University of Athens, Greece and Visiting Professor of the Jiao Tong University of Shanghai, China. He is honorary member of the Lithuanian and the Hungarian Dermatological Societies. Biomarkers of gender-independent endogenous skin aging provide evidence that human skin could be used as a good alternative for recording and understanding aging of different tissues. By whole genome gene profiling and adequate confirmation we could identify 39 gender-independent differentially regulated genes associated with healthy skin aging. The Wnt signalling pathway showed to be significantly downregulated in aged skin. Several genes involved in central nervous system aging were expressed in human skin and were significantly regulated with age. These internationally patented findings consist the basis for a robust and potent model for evaluating efficiency of chemicals and pharmacological substances on aged skin and a personalized gene test recognizing the human ageing process.